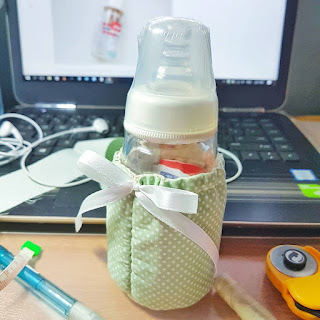 I made a baby glass bottle sleeve! I insisted to get a glass bottle instead of the plastic ones because… well… plastics. But Ahbuii was against the idea of getting glass bottle. I, of cos went ahead and got it anyway. Just one, to test it out. Of cos I am not dumb not knowing that glass bottles will drop and break or chip. 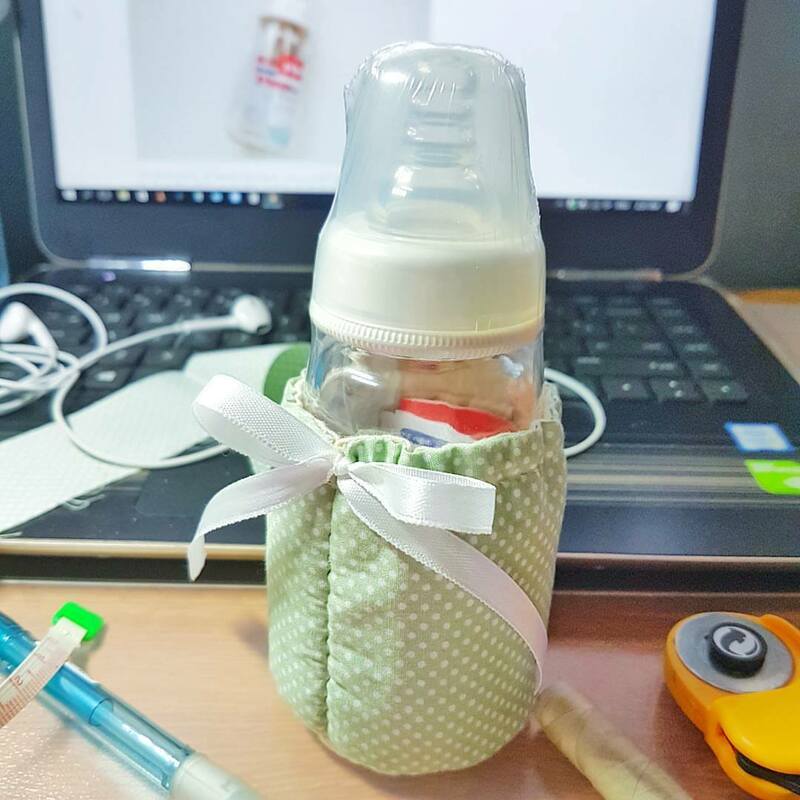 So, I made a thick glass bottle sleeve. Completely hand sewn!